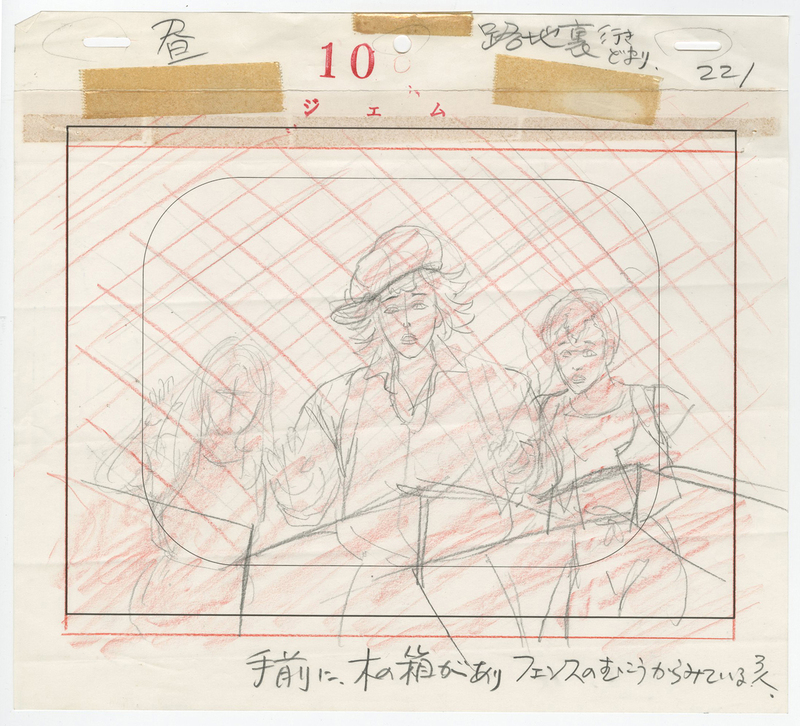 This is an original production cel and background featuring Aja, Jerrica and a boy that was used in the production of the animated series, Jem. 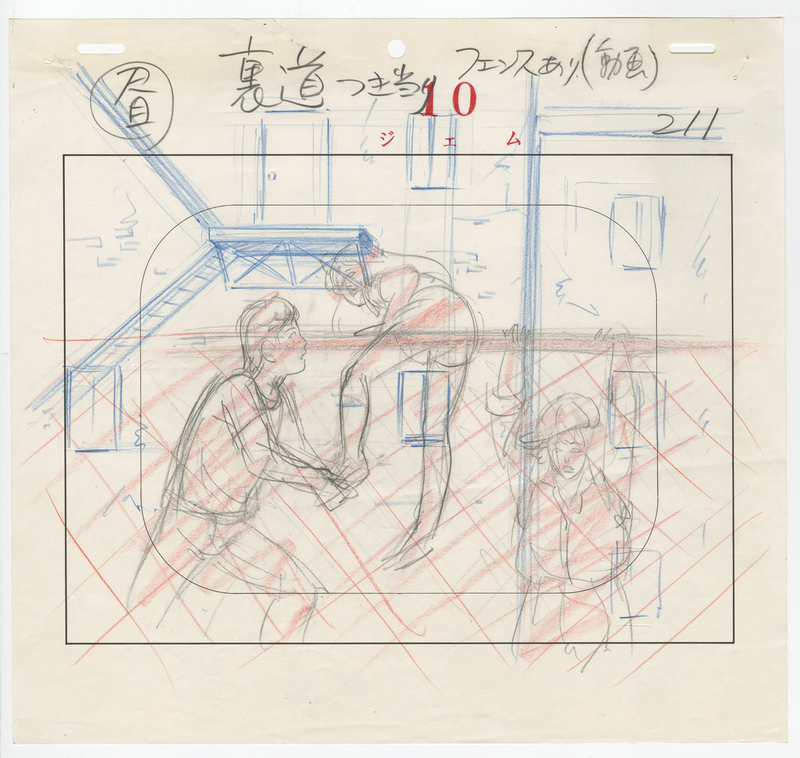 The background measures 10"x 14", the cel measures 9" x 10.5", and the character image measures 6.5" x 9.5". Cels are attached to the background and each other from paint and staples along top edge and the set-up is accompanied by the matching layout drawing.